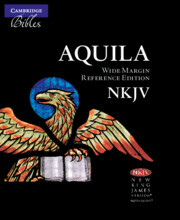 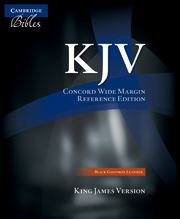 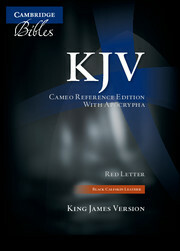 The Concord Wide-Margin Edition is extremely popular with KJV Bible scholars. It features wide margins all around the text for verse-by-verse annotations, as well as centre-column cross-references, a glossary, concordance, 15 colour maps and the Translators' Preface. 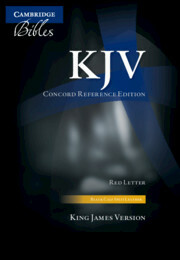 It is printed on a smooth, opaque and resilient paper with lustrous art-gilt edges, and includes two ribbon markers to help find the reader's place. Cambridge already offers the Concord WideMargin in a range of fine bindings. Now there is an even more luxurious binding to grace this beautiful Bible: black goatskin leather, edge-lined for extra suppleness and flexibility. 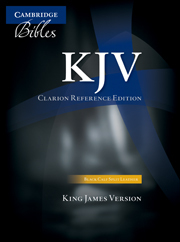 Purchasers wishing to make a gift of this exceptional Bible will appreciate the very special rosewood presentation box and velvet sleeve contained within the lid-and-tray display box.